IP Based Web hosting for from $10 a month!! I can also help you with website creation. Make our web portal your home page and earn points for free products! See My Old Family Pictures from Japan! Also see about our upcoming 2004 Reunion. 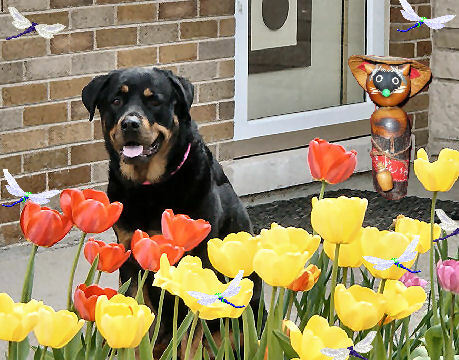 I volunteer for RECYCLED ROTTS INC as their webmaster: go see what I do for them. This is one of my favorite Japanese Animated Movies. It's wonderful to watch in Japanese, and I understand it is out in English too. If you are interested in Japanese Animation, visit a popular Animator at his fan's web page. This also is another favorite of mine. I don't know the name of the movie in English, but the title means the witch and her parcel transport service. You have to see the movie to appreciate the title even. Go to Hayao Miyazaki Home page above. This is one of his movies as well. PSC B-Naturals HomePage Holistic Vet A.D.O.P.T.